Péče o srst koně - Shapley´s | West4us.cz - Nejen westernová móda, dovoz z USA, skvělé ceny. We offer an extensive line of products, all starting with our initial product - Original M-T-G. We invite you to experience why so many horse lovers trust their horse’s care and well being to Shapley’s! 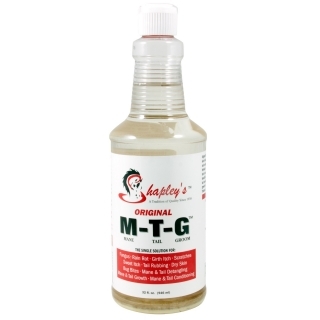 Since the development of M-T-G, the Shapleys line of horse grooming products has grown to include safe and gentle shampoos, conditioners, oils, sprays, and even deodorizing cleansers for your horse.